It's no secret that I'll travel for food. 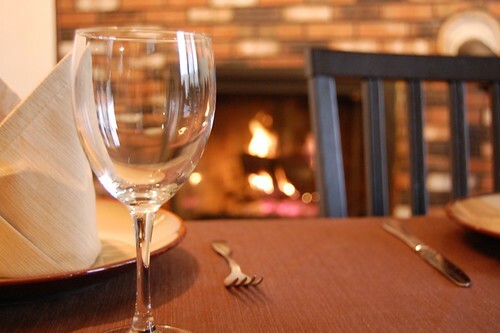 However, when I think of dining destinations, Princeton, NJ is not the first place that comes to mind. I went to go visit my friend Corey and was recently surprised at how much it had to offer my starving stomach. Corey works at Princeton and gave me a tour of the campus. 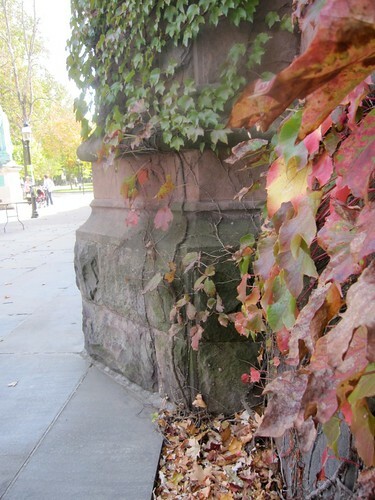 It was peak fall foliage time and even the ivy was burnished with the yellows and reds of the season. After looking at all of the gorgeous buildings, we headed into town to investigate our options. It was an awkward time to eat, as brunch was ending and dinner hadn't yet started. 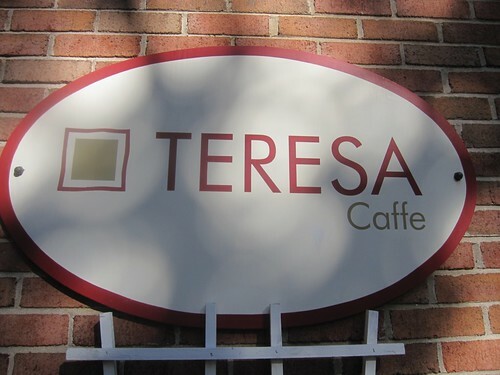 Though several places had tempting menus, we ultimately decided on Italian at Teresa Cafe in Palmer Square. We each got an appetizer and a main course. 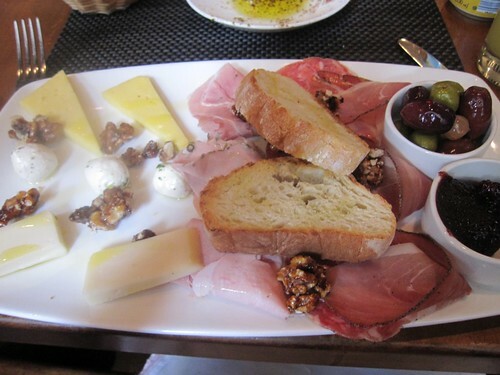 Whereas Corey went with salad and pasta, I wanted something I couldn't get in every Italian restaurant around. After scrutinizing the menu, I paired the Antipasto Misto with a fig and pancetta pizza (they've since changed the menu so I don't remember what it was called). 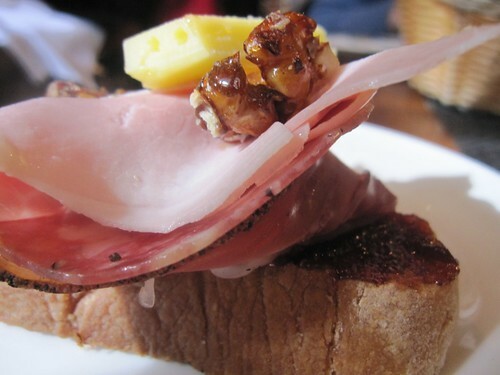 Both courses featured crusty bread with sweet fig, salty smoked meat, cheese and something to add a tiny tang. (My tower of delicious Italian treats - crusty bread, fig spread (paired so well with my pizza to come), salty prusciutto di Parma, capicola, salumi, sharp provolone, a tangy local cheese and caramelly-sweet candied walnuts for crunch. 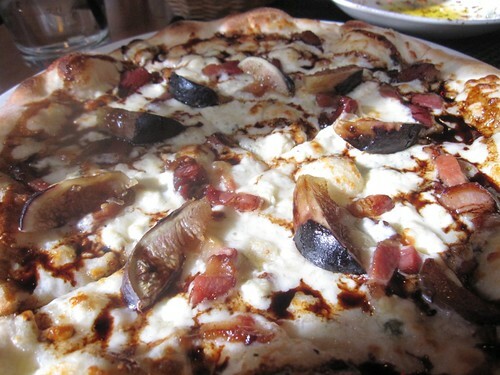 My pizza - fresh mozzerella with a tang of aged balsamic vinagrette, sweet mission figs, crisp pancetta on a soft, doughy crust. 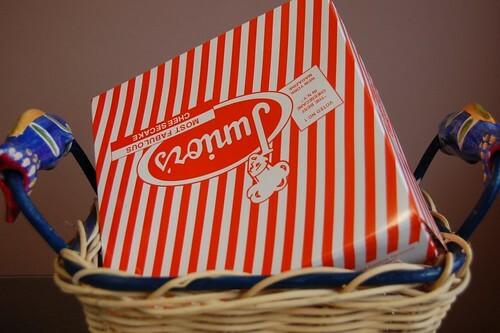 Next we decided to satiate my sweet tooth. Is that proper English? Probably not. Do I care? Not really. Anyway, I wanted cupcakes. My friend Katie had texted me a picture of The House of Cupcakes over the summer and I nearly exploded with excitement when I saw it. A WHOLE HOUSE OF CUPCAKES. My greedy little eyes couldn't believe the pixels in front of me. It was even better seeing it in person! 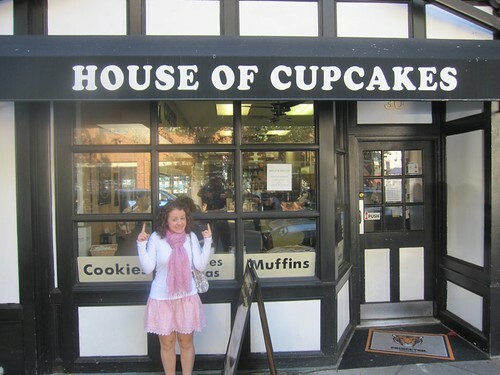 Before I get your hopes up (as mine were when I got there), I should tell you that it's not actually a house of cupcakes. Rather, it's a wall full. Still, it was a beautiful display of cupcakes. 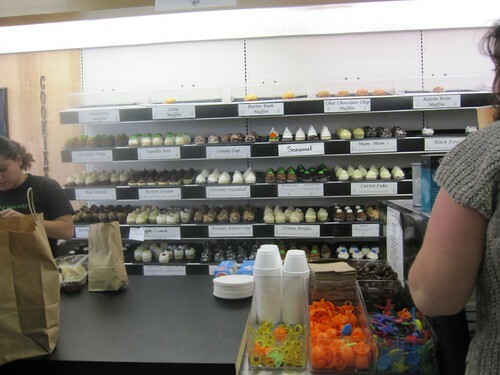 There were a lot of traditional flavors like red velvet, carrot and chocolate. Actually, there were several varieties of chocolate cupcakes, all featuring a complimentary flavor like peanut butter or raspberry. Normally I won't order a chocolate cupcake unless it's staring me in the face from behind a sheen of glossy ganache and no other cupcake looks as good. In this case, I spotted a creme brulee cupcake which intrigued me. I had to try it because I love the namesake dessert so much, I wanted to see how it would translate to cupcake form. Well folks, it CAN be done. 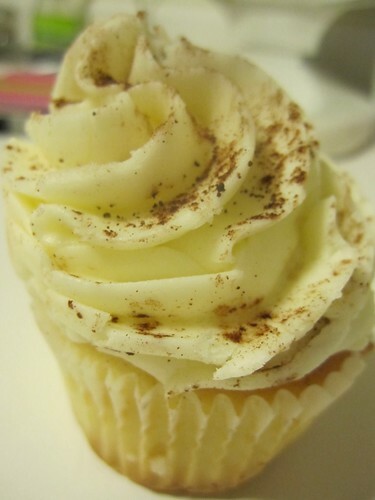 Creme brulee makes for a delicious cupcake flavor. The texture was off, though. 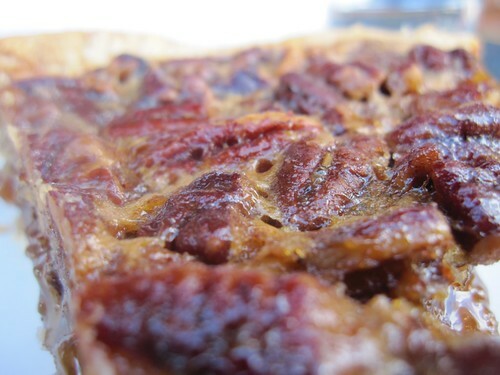 While the rich buttercream was a slighty denser version of its namesake's silky custard, there was nothing to mirror the signature crunch that makes a brulee, well... brulee. Adding pieces of caramelized sugar would have made this cupcake perfect, but it was pretty good without it. I could have stopped eating at this point and the trip would have been worth the hour it took to drive to Princeton. However, I had one more round of dessert to face. Yes, folks, you read right. Double dessert. Corey was kind enough to buy me lunch for driving all the way up to see him, but I couldn't accept lunch without giving him something in return. 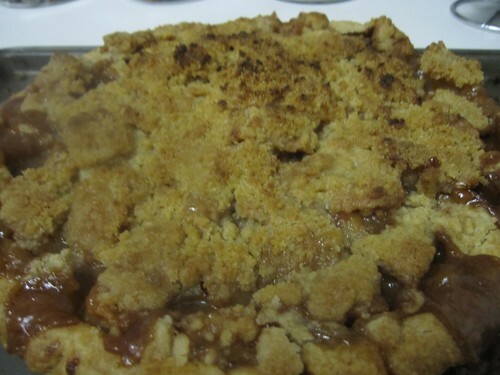 Corey loves apple pie. In fact he loves it so much that he once paid $30 for one that was, in his words, "okay." I wanted to bake him something that would be worth every penny he spent on lunch. 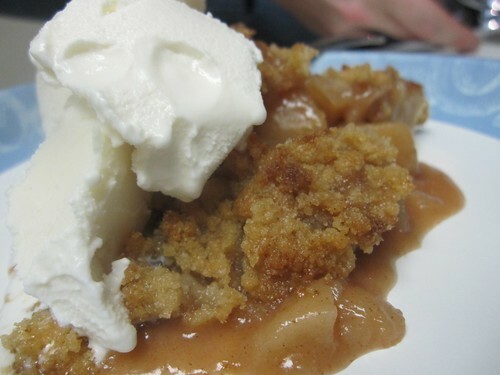 For this, I relied on an award-winning recipe from Food Network, and put my own crumb-topping twist on it. 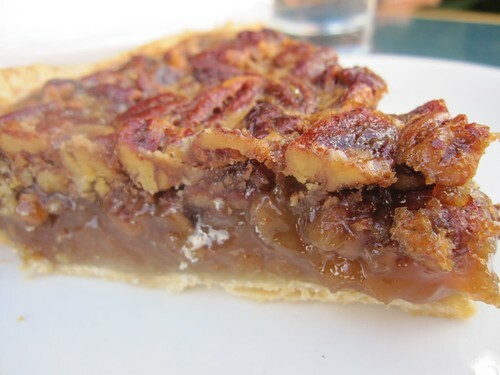 I like my pies spicy. I don't skimp on cinnamon. Nor do I go easy on the ice cream. 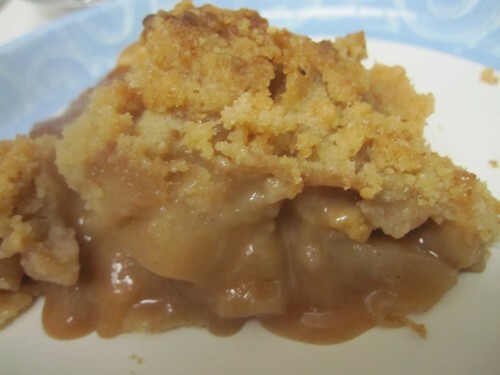 Whenever I bite into a piece of warm apple pie, I feel like it has a magical way of warming my insides and making me feel like I'm safe at home, no matter where I am. I have to give myself some credit. There have been countless times in my life where I've said I was going to do something and gotten really excited about it, only to let the idea fade away a few weeks later without ever attempting to try it. For the past 3 years, Restaurant Week has been that something. I found out about Taste of Hartford in 2007 and always wanted to go. For one reason or another, I never seemed to take advantage of the fantastic deal (how I could pass up a 3 course dinner for $20.07, I'll never know). Timing was off for ToH this year, too. I was home the week before it began and left just as it started. Luckily, my schedule was clear for Philly's Restaurant Week and I knew that I had no excuse not to go. I couldn't afford dinner (even though $35 is still a steal for most of the offerings), but lunch was well within my budget and a 3 course meal could easily stretch into 2-3 meals (thank you doggy bags!). 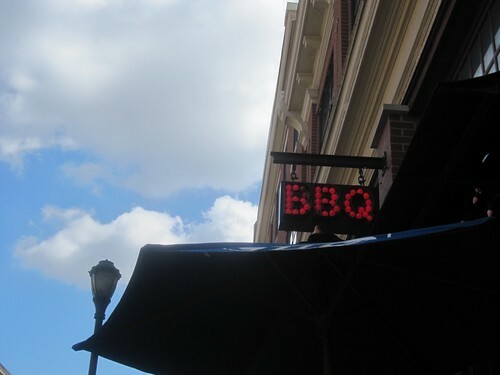 With a new-found determination to do all that I had dreamed of, I set out for Percy Street BBQ on South Street. 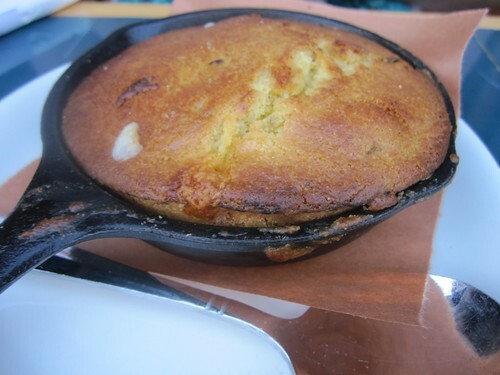 My dining companion got jalapeno cheddar cornbread in a personalized cast iron skillet (which of course I'm now coveting). I went for the mac-n-cheese, which was easily the best I've ever had. 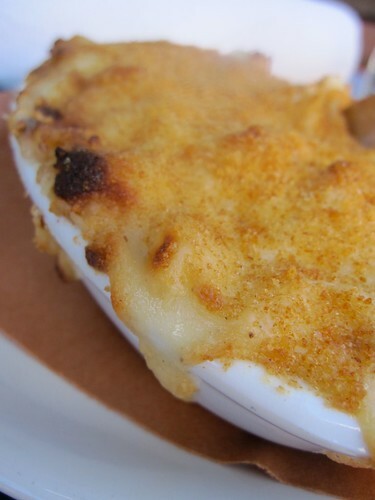 The noodles were perfectly cooked--soft so as to not distract from the creamy bechamel sauce, but not mushy. I'm not sure what cheese was in the recipe, but I think that's part of the beauty of the dish. It seemed as though the chef was going for a harmonious dish, rather than giving one element the star credit. My only change to the dish might have been a touch more topping, but that's more of a personal preference. Next on the menu was the meat--a half pound to be exact. 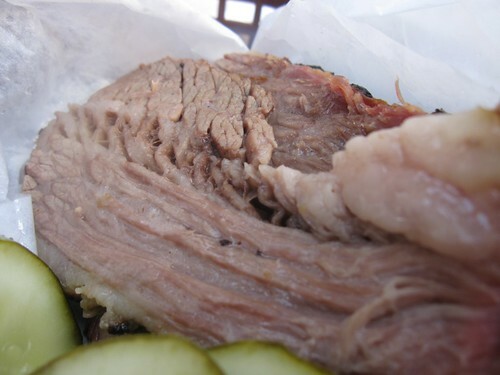 We both went for the brisket, which was so tender it came apart with a fork. 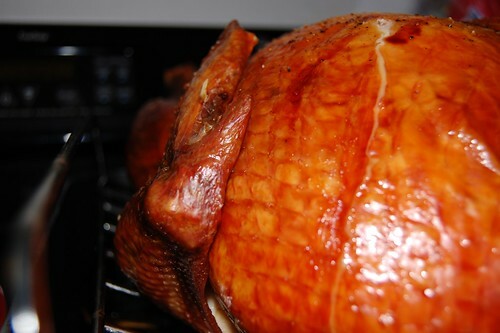 It's cooked over applewood and topped with nothing but salt and pepper before meeting heat. The flavor is outstanding. It had a deep smokey flavor with a touch of sweetness. I would have eaten it as is (the Texan way, according to what my menu told me, anyway), but I was confronted with three types of house-made BBQ sauces and I'm a sucker for sauces, so I tried em all. I liked the original best, but the combination of the hot BBQ sauce with its smokey kick and the sweet BBQ sauce (was that plum I tasted?) was pretty stellar. 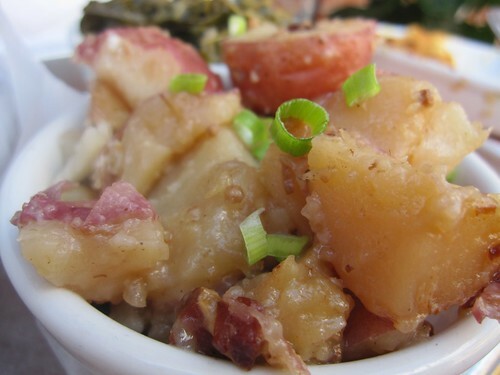 German potato salad - I'm used to loose interpretations of this dish, ones that are drowning in vinegar and tossed with scallions, so this one had a much smokier flavor than I expected. 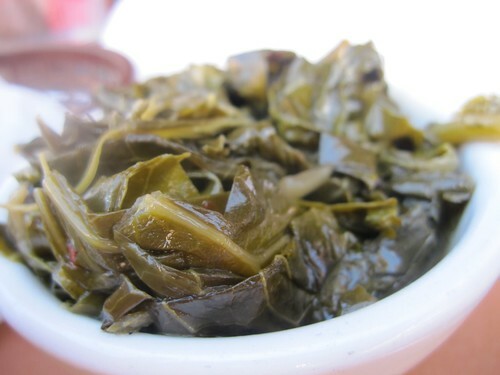 The collard greens were lovely, to say the least. I hate mushy greens, and they held up to my textural scrutiny. If you hadn't already guessed by my terse description of the side dishes, my brain has already jumped ahead to dessert, so let's get on that. You can't go to a southern-food/BBQ restaurant without ordering a piece of red velvet cake, right? Not if you're me. This was my date's cake. I'm not a huge cake fan (you'll see what trumps it in a second), but I did try a bite. 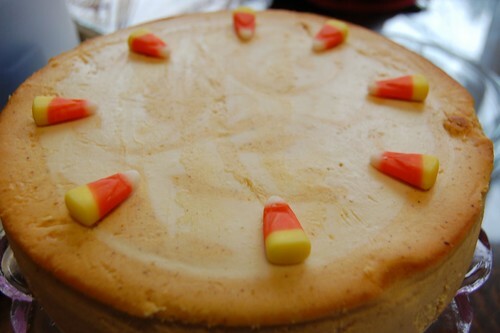 The cake was moist enough and tasted homemade. The frosting had a lovely cream cheese flavor. 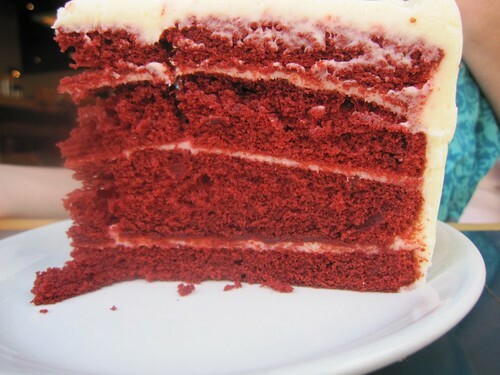 I'm just not a fan of red velvet cake, so I didn't go back for another bite. 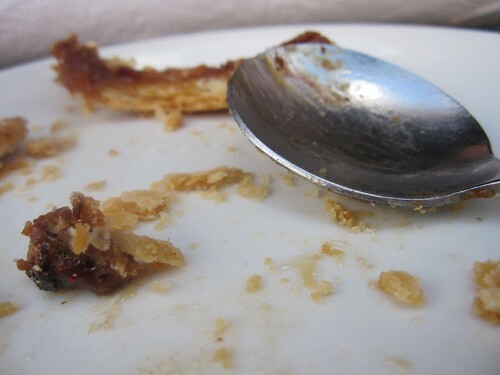 When I was between banana pudding and pecan pie, our waiter asked me how big my sweet tooth was. 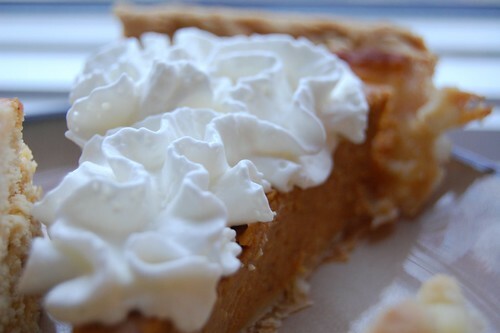 This pie was a mighty match for my sweet tooth. 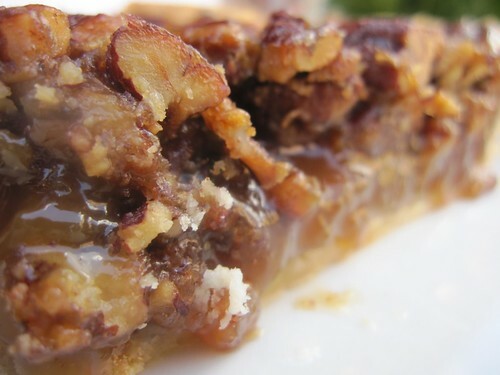 Flaky crust, topped with caramelized crunchy pecans and a sweet gooey layer in between. Oh my word. I was speechless. When he came back to ask us how dessert was, my only response was, "Ohmmmf." Speechless. Wonderful. As if an amazing meal for $20 wasn't enough (actually two meals... I had to get a doggy bag), we also got $10 toward our next meal at Percy Street BBQ, Zahav or Xochitl. Score! I would definitely go there again. Next time around, I'm going big and trying the pork belly, the banana pudding and the Yard's Rootbeer (made especially for Percy Street! ).